This is the first in a six-part series investigating who funded local candidates in 2018. 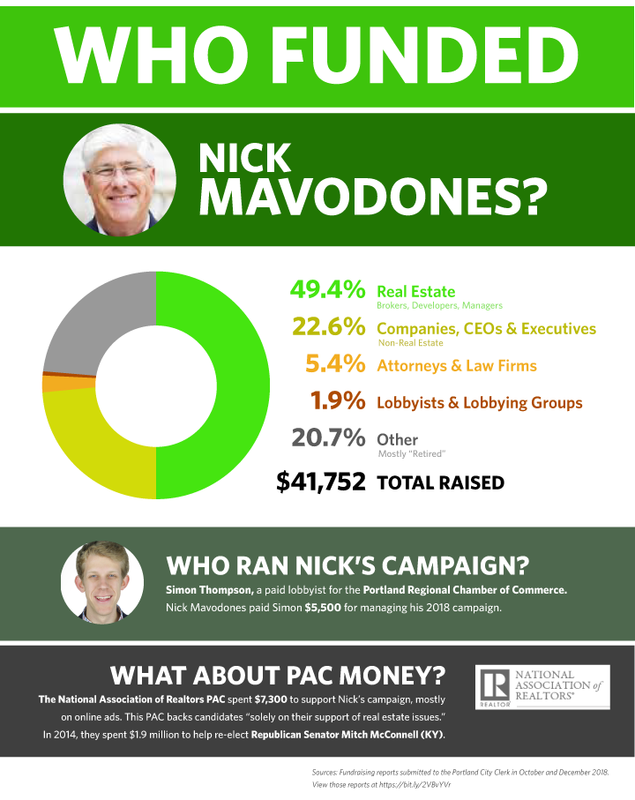 Today we’re looking at 8-term city councilor Nicholas “Nick” Mavodones. We will also be investigating Spencer Thibodeau, Belinda Ray, Jon Torsch, Emily Figdor, and Jeanne Swanton in the coming weeks. The Maine Center for Graduate Professional Studies is a partnership with the University of Southern Maine. Even though George Campbell was the CEO of this organization, I did not feel it was appropriate to group with this other for-profit businesses. Thomas Valleau lists on his LinkedIn profile that he is the Executive Director of the North Atlantic Ports Association, trade association of commercial seaports. Patricia Hagge is married to Cyrus Hagge, a local real estate developer. James “Jim” Brady is a local real estate developer, most known for the Press Hotel and the 58 Fore Street redevelopment, also known as CPB2. Justin Alfond is a local business owner, but also a real estate developer. He has been part of organizations that have recently bid on parcels of public land that the City has sold to private developers. 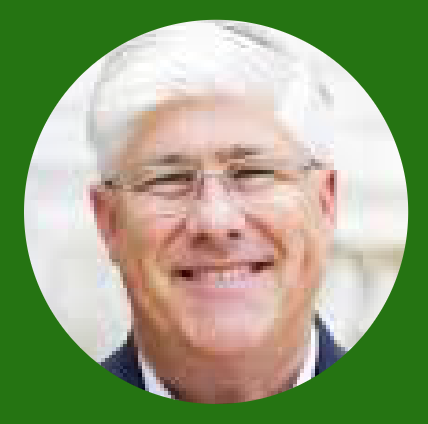 Gary Wood is a retired attorney, formerly corporation counsel for the City of Portland. Mary Costigan has previously represented the 58 Fore Street development company CPB2 (see 4). Before that she was hired by the City of Portland to be the city’s lobbyist to the State Legislature (2008–2010). Gerard Conley is the attorney who represented Alex Gray of Waterfront Concerts, when Gray was accused of domestic violence. CBRE is a real estate brokerage firm, which the City of Portland has recently hired to sell many parcels of publicly-owned land to private developers. Phineas Sprague is a real estate developer who has owned large tracts of land on the Western Waterfront. John Schiavi was formerly associated with Schiavi Homes, a local residential development firm and homebuilder. “Spring Street West Corp” — which donated $800 to Nick’s campaign — is the former name of Port Property Management, the property management company owned by Tom Watson, who (together with his family) donated an additional $2100 to Nick’s campaign. Lot 5 Liberty is the property development company owned by Jonathan Cohen. Cohen and his company each gave Nick’s campaign $800.